The city of Minneapolis and a former police officer who shot and killed an Australian woman are asking a federal judge to put a $50 million civil rights lawsuit by the woman's family on hold while a criminal case is pending. 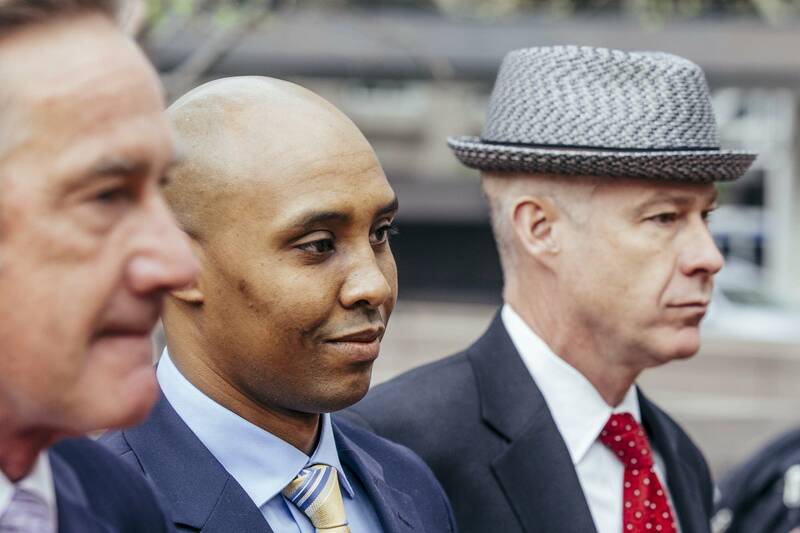 In court documents filed in advance of a Friday hearing, attorneys for Mohamed Noor wrote that the civil case should be delayed in the "interests of justice" so Noor can fairly defend himself in both trials. The family of Justine Ruszczyk disagrees, saying they deserve answers and that the cases should proceed at the same time. Noor is charged with third degree murder and manslaughter in the July 15, 2017, shooting of Ruszczuk, a 40-year-old life coach who went by the name Justine Damond professionally. She was shot by Noor after she called 911 to report a possible sexual assault in an alley behind her home. Noor has not spoken to investigators, invoking his constitutional right against self-incrimination. He has since been fired and no trial date has been set. Noor has not formally entered a plea, but his criminal defense attorney indicated in April that Noor intends to plead not guilty. In July, Ruszczyk's father, John Ruszczyk, sued Noor, his partner, the city and the current and former police chief, alleging his daughter's rights were violated. He also accused officers of conspiring to cover up facts surrounding the shooting, and of making a conscious decision not to activate body cameras. Robert Bennett, an attorney for the Ruszczyk family, argued against delaying the civil proceeding. He said in court filings that he would be willing to agree to a protective order or other controls to ensure that Noor's 5th Amendment assertions would have no effect on the criminal prosecution or defense. The shooting of Ruszczyk, a dual Australian-U.S. citizen who had been living in Minnesota for more than two years, drew international attention, cost the police chief her job and forced major revisions to the department's policy on body cameras.